In this article, we’re going to help beginners better understand how they can get started in the vinyl hobby. 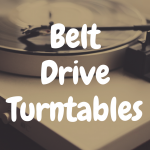 Most importantly, we will be discussing record players—namely, what turntables beginners you should consider buying, what features are most important, and what prices are most ideal. Now, it’s worth noting that a traditional hi-fi setup requires a turntable, receiver, and speakers. All vinyl comes in a range of speed, from 33 and 45 to 78 rpm, with a needle receiving sound signal from the surface of the vinyl at each speed. Stereo receivers and preamps are most often necessary because they help direct the sound through connected speakers. With vinyl, you want the best sound quality possible, which means you may have to forego the models that advertise “all-in-one” but offer so much less than a traditional setup. 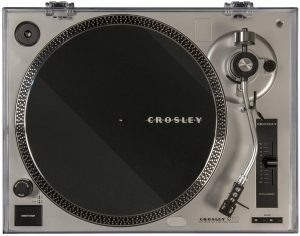 Turntables designed by Crosley and Innovative Technology’s Victrola brand offer price point features and only limited sound quality. But they have a stylish look of a vintage record player, which is great for those wanting the player to fit into their vintage apartment scheme. Unless you have the extra six grand to drop on a McIntosh player, you’ll have to meet your turntable in the middle. 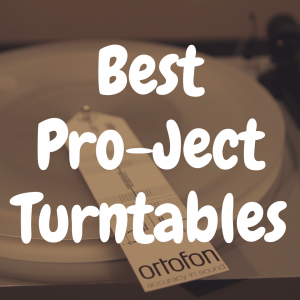 Turntables from Denon, Audio-Technica, and Pioneer offer solid builds for less cash. Just make sure you have a solid pair of speakers too. Higher-end players are nothing if you’re not investing in them the right way, and that means the proper accessories. Let’s begin by discussing the Audio-Technica AT-LP60! 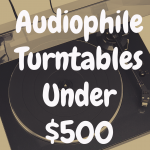 Audio Technica is the first place you should look for turntables. 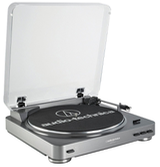 The LP60 is a strong player for a company that is preferred by many vinyl DJs. Belt drive, phono preamp, strong connectivity to many devices – these are the features you should look for in any modern turntable, because more so than what once was with vinyl records, compatibility and mobility go hand-in-hand with quality old school performance, i.e. belt drive technology. The LP60 has all of it. 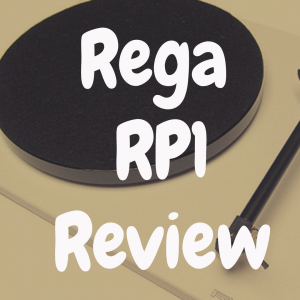 You can read our review of the Audio Technica AT-LP60 here. 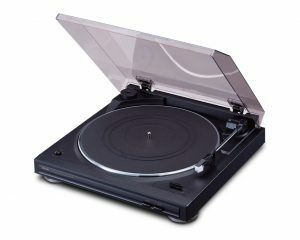 This model is the LP60 but with better performance in all categories and USB connectivity boot, so you can rip your vinyl tracks to your computer. It’s a solid feature for modern listeners, but as with any record player with USB, you can’t always expect like-for-like quality in vinyl rips. Still, it’s worth having. If you have a little bit of extra cash, choose this one over the LP60. 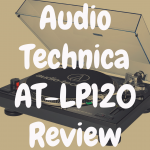 You can read our review of the Audio Technica AT-LP120 here. 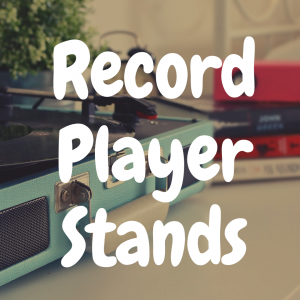 A serviceable player for the beginning of your vinyl listening journey. The C100A is a point above the norm for Crosley, meaning features like strobed pitched control and solid aluminum parts and build all around. You still won’t get the sound of a McIntosh, but you will get a start in that direction. Recommended for those who want a first crack at a true home hi-fi set. 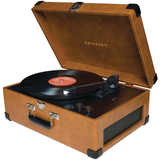 You can read our review of the Crosley C100A here. A solid choice for modern suitcase players, the Cruiser is portable and ready to play at any time, with built-in speakers included. It’s also pretty stylish, which is an important feature for many young first-time buyers looking for something to augment their lifestyle. 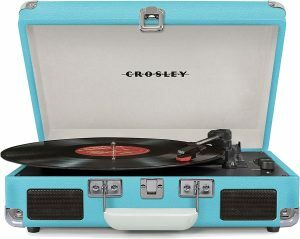 That’s mostly what Crosley will do across the board, as sound quality is often sacrificed for looks. Still, this is a go-to initial player before going on to bigger things. The Keepsake is the bigger, bulkier version of the Cruiser. More trunk than suitcase. But it still has style, and also USB capability. If you want a little less portable version of your standard suitcase player that still looks great in your apartment, the Keepsake could be your match. Just don’t keep it too long. There’s better quality on the horizon if you’re willing to pay for it. Crosley appears the most on our list, mostly because their players are affordable for what they provide and offer a bit of style to boot—for those looking to build a lifestyle around vinyl. 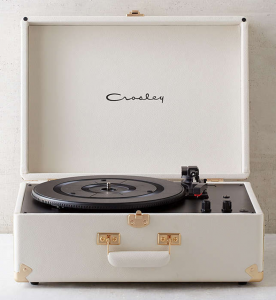 Lifestyle purveyor Urban Outfitters has teamed up with Crosley for a series of players that reflect the turntable as lifestyle accessory. Owning vinyl is partly an exercise in aesthetics. Vinyl records look cool. Why not have a player that looks cool too? Denon is an expert manufacturer of mid-range turntables that don’t cost too much but pack a sonic punch. The DP29F is great for those who are willing to spend a little extra money for an upgrade in sound. 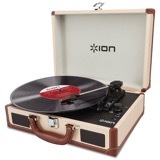 As much as we’ve talked about lifestyle players with Crosley, sound is still king, and Denon will do the job. The build is still a little flimsier than higher end models, which can dampen sound to a degree. But if you’re just starting out and don’t need pristine sound, you’ll want what the DP29F can give. You buy Pioneer because of the name. A preferred brand of DJ equipment, Pioneer also makes turntables for recreational use, and the PL990 is one of its most solid, cost-effective models. No flashy stuff here. Just quality sound. The 6-in-1 from the revived Victrola label is an example of an all-in-one player. Meaning, in this case, that you can play three record speeds, CD, tape, radio, with Bluetooth plug-and-play capability from the player or from any other Bluetooth device. All-in-ones are tempting because of the impressive amount of things they can do, and this one has old world style as well. Just know that for every extra add-on, you take more away from the turntable. If you’re looking to audition your audio listening options, this is an affordable stopover that do quite a lot for you. This is the most expensive model on this list. It’s also the newest. The PSHX500 is the latest thing out of Sony, and everyone’s talking about Hi-Res Audio. The feature allows conversion of higher-than-CD-quality audio tracks from your vinyl records to your computer. USB turntables always sacrifice something in quality, but this one takes digital to a higher place, using high-quality digital audio to get the best out of vinyl. Nothing will ever replace the unique sound of vinyl. But you can get close, and this player will help you move the needle. 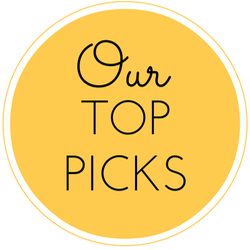 As you’ve seen, our list recommends a range of players in all shapes, styles, and configurations. Ideally, price wouldn’t be an issue in choosing which one best fits your lifestyle. But the cost range of record players varies widely based on accessories included and the overall performance of the machine itself. The players we’ve talked about here are a good mix of solid performance at accessible price points, mostly hovering under $250. But you should also know that lower cost means less longevity. High-end machines are made of durable materials – high-grade metals and plastics, carefully weighted and balanced to offer the lowest impedance to quality sound. This is the reason they cost so much more than, say, a Crosley Cruiser, which stays in a lower cost range by putting more value into its stylish design than in the materials that make up the turntable platter and tonearm. You will get a solid working product with a Crosley Cruiser, but parts will break down faster, which may end up costing more in the long run. The higher price of a turntable plus receiver plus speakers shouldn’t necessarily dissuade you from thinking more long-range about your investment. If you’re starting out in this hobby, you should do so with the mindset that it will cost you. It’s tempting to go with cheaper and serviceable enough, but stay open to the Denons and Pioneers and Audio Technicas. Oftentimes these quality audio manufacturers that are offering models with higher-end parts for mid- and lower-range cost. Take them up on the bargain. Your records, and your ears, will thank you. What was once old-fangled has become new again. With features like audio-ripping and Bluetooth, turntables have been upgraded for the modern era. You can still get the legendary audio quality of vinyl without having to dust off the old turntable in the attic, and you don’t have to worry about your records not being a part of the chain of portable devices that make up your life. The hi-fi once again takes its place at the center of the home, but now it can be as portable as you are, making it even more indispensable to music lovers. With great power comes great responsibility, though, as they say, and as it was in 1950, so it is today: turntables require learning. Get to know the ins and outs—your cartridges and your needles, your platters and tonearms and auto-stop mechanisms. Seek out a solid receiver, get familiar with the best powered speakers, and know when all-in-one and portability mean more or less. There are many options to choose from, but beginning on the vinyl path doesn’t have to be a chore. Just find your groove, and let the music do the rest. What are the Best Headphones for a Turntable?